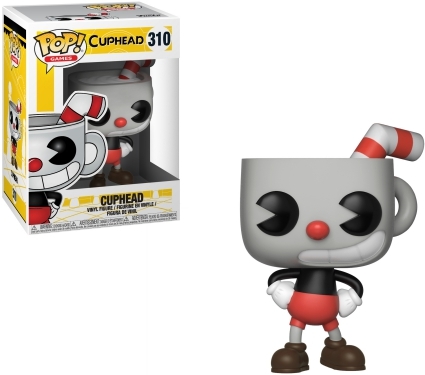 Product DetailsThankfully, you don't have to deal with the devil to enjoy the Funko Pop Cuphead figures! 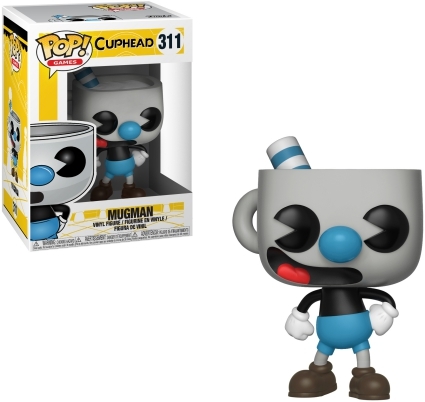 From the popular video game Cuphead ("Don't Deal with the Devil"), Funko Pop Cuphead features two heroes—Cuphead and Mugman. 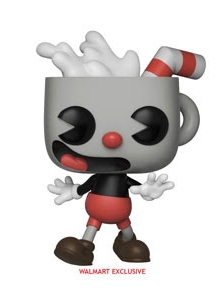 The figures come in a black-and-white scheme except for their noses, shorts and straws. 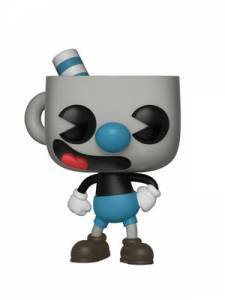 While they may appear alike, Cuphead's color is red and Mugman's signature color is blue. Causing problems, the Devil poses with a yellow trident and cards in hand, while his gray foot rests atop a stack of poker chips. 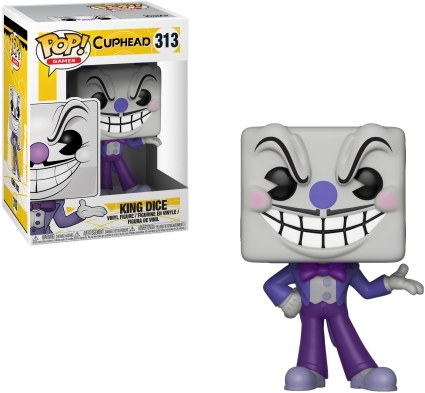 Order Pop Cuphead Figures at Entertainment Earth. 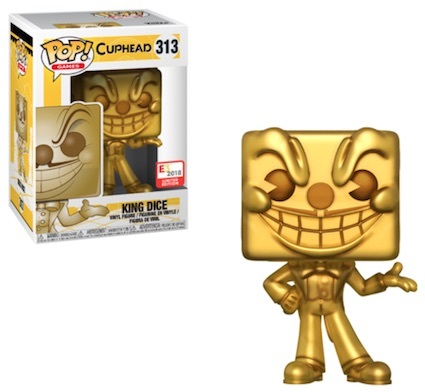 In addition, the Pop! 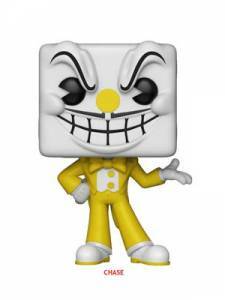 Games release includes the main King Dice vinyl in purple, and the yellow King Dice variant is a chase figure that averages 1:6 boxes. 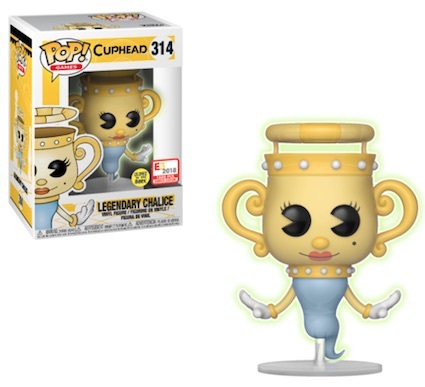 The friendly Legendary Chalice has a blue "body" that, since she is a ghost, is on a clear stand. 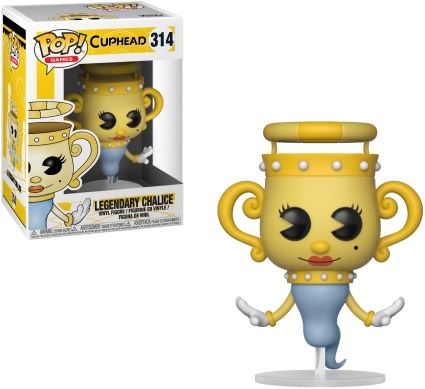 Her arms are slightly out to the side as she appears to be balancing herself. 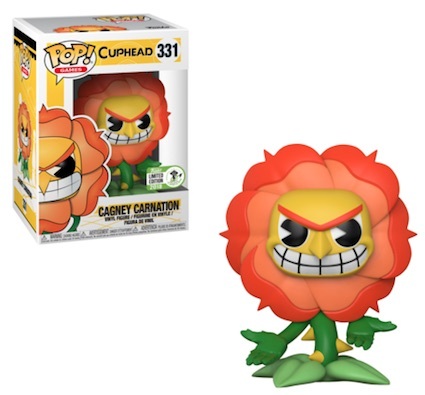 While players had to wait patiently for the run-n-gun side-scrolling game's arrival, a few larger Funko Vinyl figures were released for the 2017 New York Comic Con. 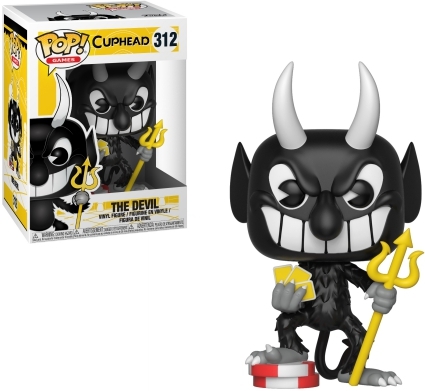 The Devil Funko POP! 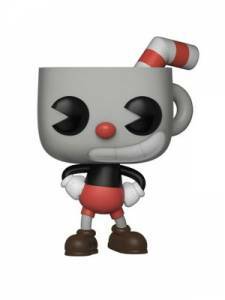 Cuphead Collectible - The Devil Vinyl Action Figure In Box!